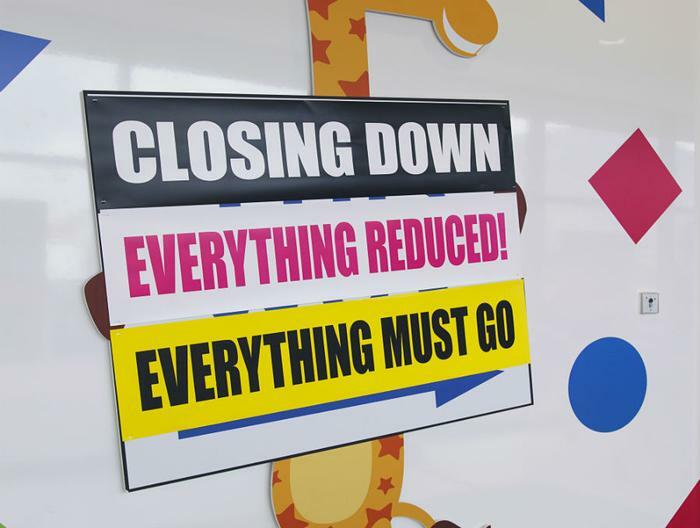 Bankrupt toy retailer Toys "R" Us is closing all of its U.S. stores after last ditch efforts to restructure its debt failed. The company has announced it is asking the Bankruptcy Court for permission to begin an "orderly wind-down" and liquidation of all 735 stores in the U.S. and Puerto Rico. It suggests that wind-down will include going-out-of-business sales at its U.S. stores. Consumers still holding Toys "R" Us gift certificates and gift cards should plan to use them in the coming weeks. Various media reports put the number of Toys "R" Us employees who will be out of jobs once the liquidation is complete at around 30,000. Founded in 1948, the company that became Toys "R" Us enjoyed explosive growth in the 1970s and '80s when the huge baby boom generation began having children. Trips to the huge warehouse-sized stores on the weekend were a rite of passage for a generation of children. In the last decade, the retailer fell victim not just to online competitors, but also Walmart and Target -- retailers that were able to cut into Toys "R" Us sales. The retailer filed for Chapter 11 bankruptcy last September, in an effort to restructure its mounting debt. At the time, the toy retailer was trying to balance the $5 billion it owed creditors with funds it needed to sustain growth. In the end, it could not bring the competing capital demands into balance. The company viewed the 2017 holiday shopping season as its last chance to return to profitability. It confidently announced in September that it was hiring thousands of seasonal employees at both its stores and distribution centers. However, holiday sales did not justify that optimism. Sales came in well below expectations and the company announced in January that it was closing 180 stores. Retail bankruptcies rarely result in liquidation, as competitors often jump in to absorb the businesses. However, the retail landscape has dramatically changed since Toys "R" Us became a major force. Today, there are not only more sources for toys, but children aren't amused as much by toys and games as they are electronic gadgets.